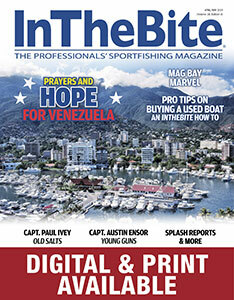 Panama’s Tropic Star Lodge has been a staple of the sportfishing landscape since 1963. The present is a very interesting time at Tropic Star. Here’s the full Old Salt interview with Capt. Sam at the Fort Pierce Inlet. 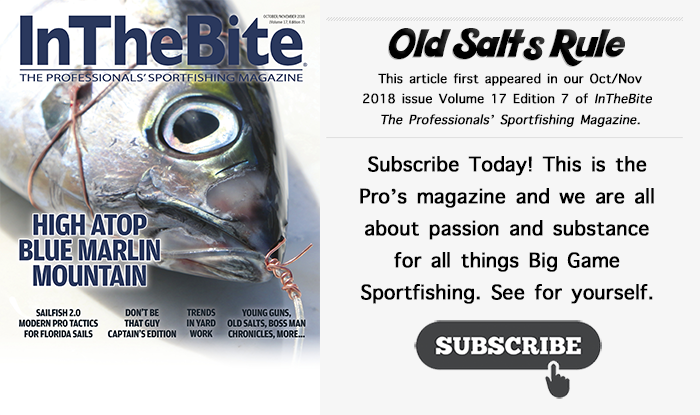 Singer, songwriter, newspaper columnist, book author, duck hunter and longtime captain – Sam Crutchfield can catch most anything that swims in fresh or salt water. Were that not enough, Capt. Sam is also proficient in Morse code and was bitten by an alligator while wade fishing for bass in a Florida lake. Captain Sam Crutchfield is an outdoorsman in every sense of the word. When speaking with Sam you could hear about most anything – a play by play story of a big blue off Walker’s Cay or about any number of adventures in Florida or the Caribbean. Today, at the age of 79, you can still find Capt. Sam at his local boat ramp fishing in the Indian River Lagoon and along the Treasure Coast beaches almost every morning. “You can never get a missed day of fishing back,” he says gently. Captain Sam Crutchfield with his all-tackle 77-pound world record dolphin. It stood for more than decade. After high school, Sam joined the Coast Guard. “I enrolled in Radio School with the plan to relocate to Fort Pierce to be on the Ft. Pierce inlet. Upon completing my training, I quickly realized Ft. Pierce did not have a radio position. I then selected Jacksonville Beach Coast Guard station to be my new home.” Back then, radio communication was Morse Code (which Captain Sam can still encode today). Captain Sam’s two day on, two day off schedule in Jacksonville was ideal. “Hunting and fishing was easy with my schedule. In the fall, I would hunt ducks on the land currently developed as the TPC Sawgrass Golf Club in Ponte Vedra, Florida. It was one of the best flyways you could imagine. Widgeon, pintails and teal were so prevalent,” says Sam. 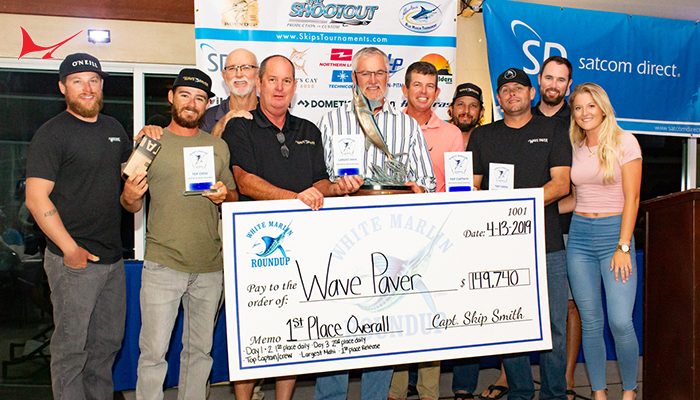 “In the spring and summer, I would fish the Jacksonville pier in which I witnessed over a half-dozen fifty-pound kingfish caught.” Sam is careful to note that his biggest kingfish, caught off of Ft. Pierce, tipped the scale to 67-pounds. After his service in the Coast Guard, Capt. Sam finally moved to Ft. Pierce to attend Indian River Community College – and fish. During this time Sam started mating on charter boats. 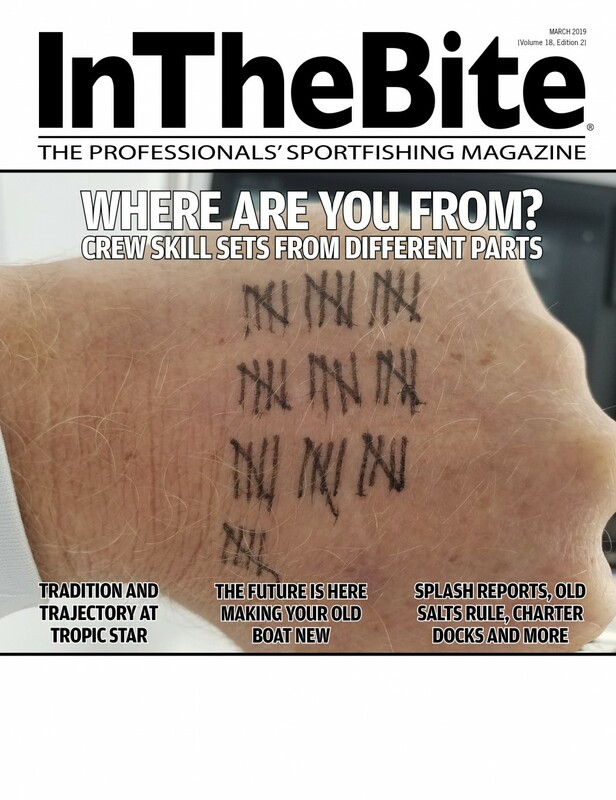 This was the beginning of a lifelong sportfishing career. Crutchfield’s first charter boat, the Lucky. A couple of years later, Crutchfield upgraded his boat, purchasing the Lucky Too, a 23’ T Craft with a 225-hp inboard Chrysler. The boat was equipped with two big live wells and two fishing chairs and could take a party of four fishing comfortably. Then, in 1973, he upgraded the boat again with a 30’ T Craft also called Lucky Too with a CAT 3160 diesel engine. 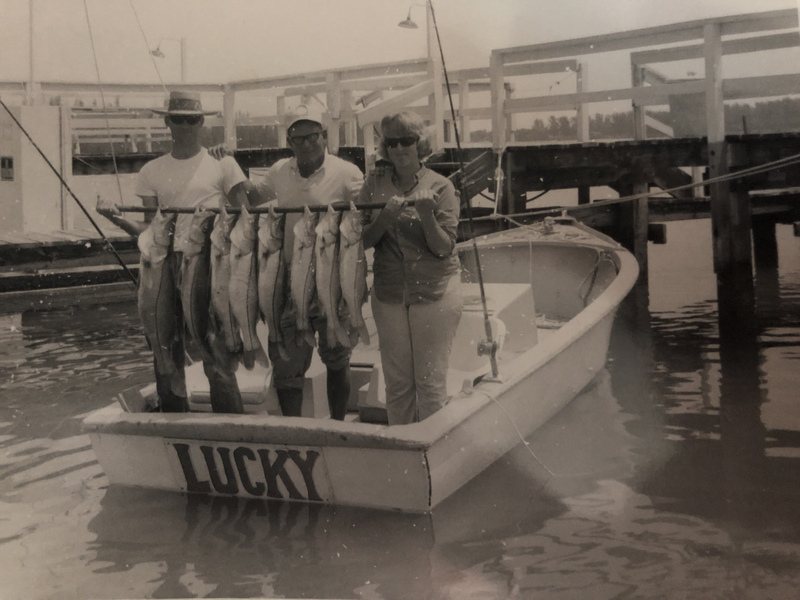 “My charter business progressed to mostly offshore fishing then.” In 1976, Sam purchased a 40’ Warren O’Neal-built boat out of North Carolina. The boat was originally built for sportfish legend Omie Tillet and is still in charter service today out of Oregon Inlet. 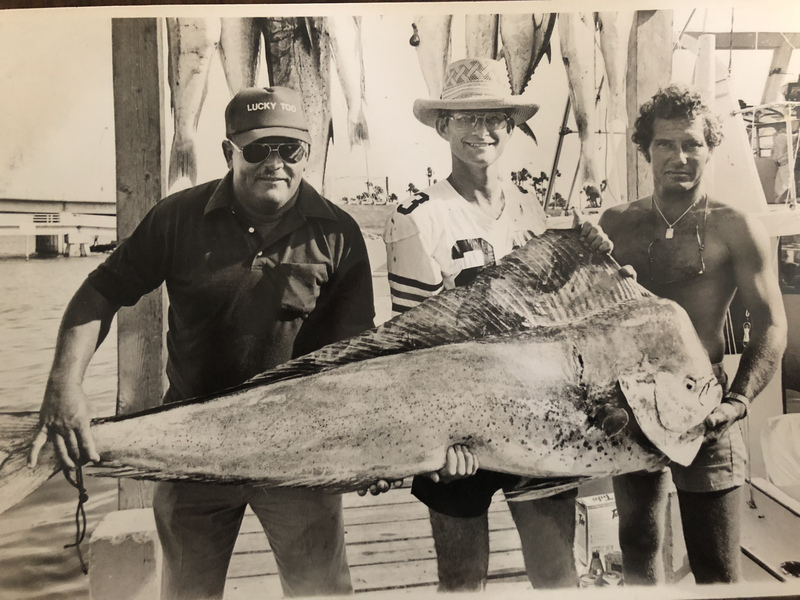 During the late 70s and early 80s, Captain Sam built a steady charter business from Ft. Pierce which evolved into a world class operation booking clients in the summers to fish out of Walker’s Cay in the Bahamas. 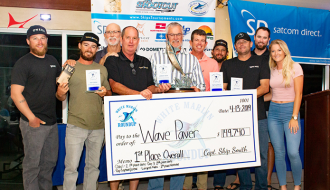 During the fall, Sam was dialed into duck hunting around Lake Okeechobee and Louisiana – when he wasn’t charter fishing his local Ft. Pierce waters. Sam also mentioned he forged a great relationship with his dock partner and friend Chip Shafer during the height of his charter career. “Captain Chip’s friendship has meant a lot to me over the years, and we are still fishing buddies today,” says Capt. Sam. In 1985, Capt. 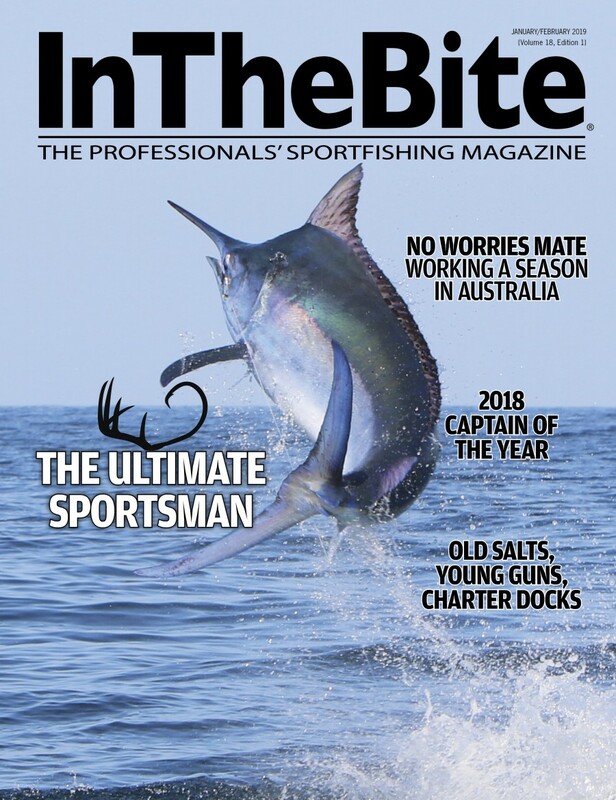 Sam retired from charter fishing, making the switch to private boats. His first private position was working for Charlie Campbell on the Escape, a 53’ Hatteras out of Stuart, Florida. 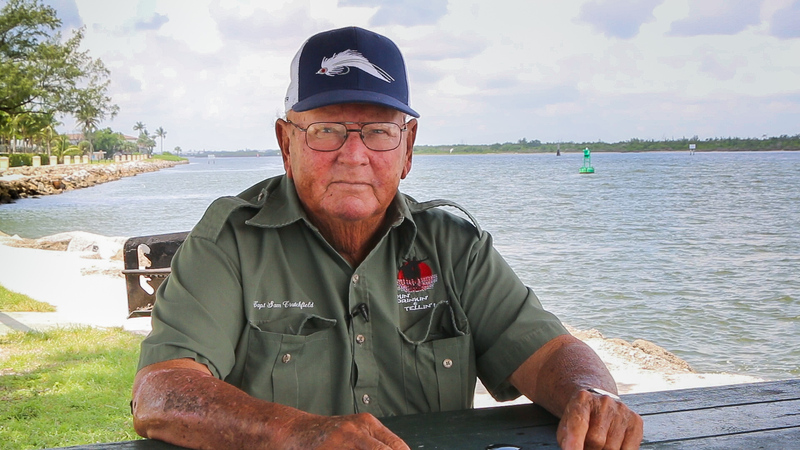 “I had the opportunity to fish and help Charlie with his hunting ranch in Okeechobee. It was ideal, but short lived,” recalls Captain Sam. 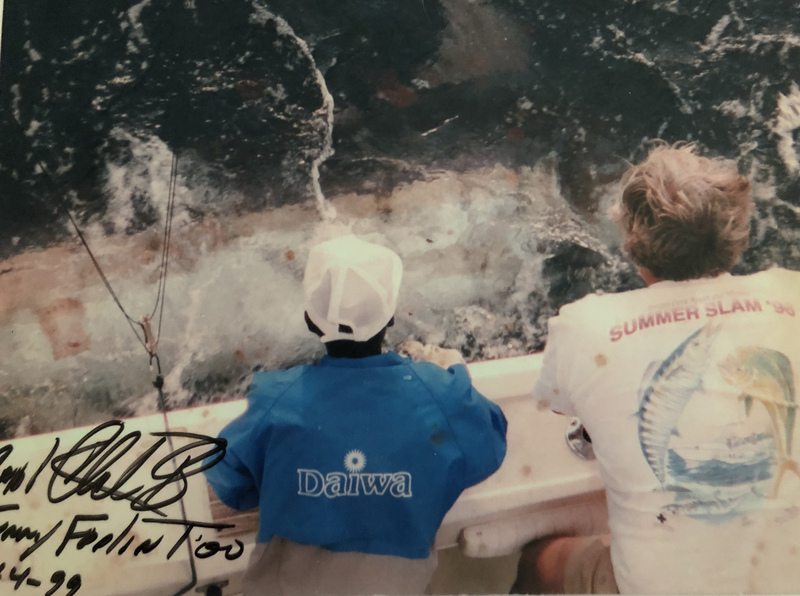 Crutchfield’s largest blue marlin. Caught and released in Walker’s, it was a tank. Around 1988, Capt. 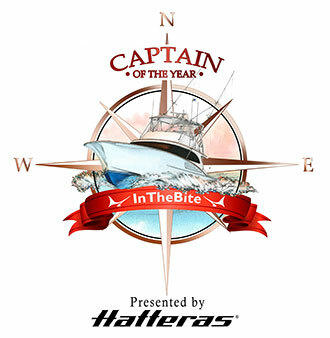 Sam switched gears again and accepted a new captain’s position on the 53’ Hatteras Lillian B. The new job allowed him to return to Walker’s Cay on a regular basis. 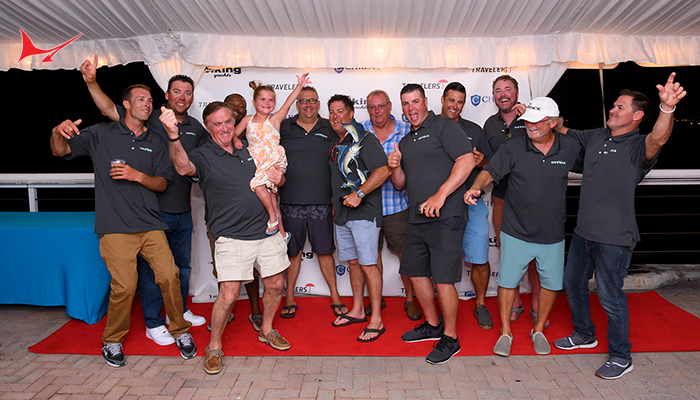 The position evolved into working on a second family-owned boat, a 60’ Hatteras called Silver Streak. Captain Sam would split time on both boats. This lasted until the early 90s. Captain Sam recalls many evenings sitting around the dock at Walker’s where he and so many others were, as Sam puts it, “living the good ole’ days but just didn’t know it.” The dock parties at Walker’s and Captain Sam’s love for music eventually paved the way for Captain Sam’s next career – in the music business. In 1995, Sam finally traded the ship’s wheel for a microphone, jumping full time into his singing career. 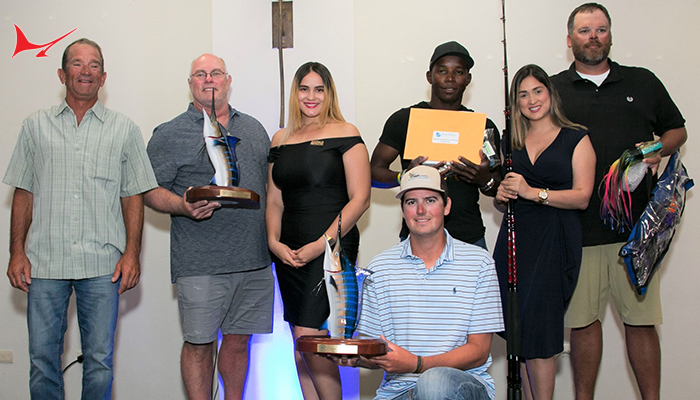 Captain Sam recalls how Walker’s Cay charter captain Billy Black and friends – and the nights of singing and playing guitar on the dock after fishing – influenced many of his songs. Most of his lyrics were conjured up in the shadow of the iconic Walker’s Cay scale. If you like fishing even a little bit, you can’t help but enjoy Crutchfield’s songs like Trollin, Ugly, The Mullet & The Mackerel & The Ballyhoo and Big Game Fishin’. “I really enjoyed making music, but didn’t realize that once you start making albums, every year you need to come out with another and another. I decided to quit making music after 13 albums,” Captain Sam recalls. 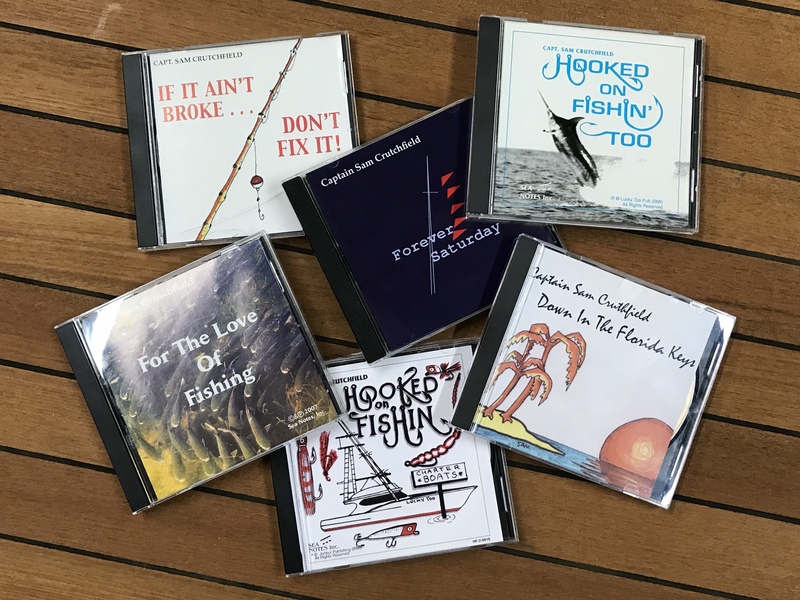 (If you are interested in buying one of Captain Sam Crutchfield’s CDs for the boat, give us a call at InTheBite). “Super Fresh” brings you InTheBite’s culinary adventures. This was fishing with Captain Asael and first mate Harol on the “Miss Spain” out of Tropic Star Lodge in Piñas Bay, Panama. How would you prepare this mahi mahi? 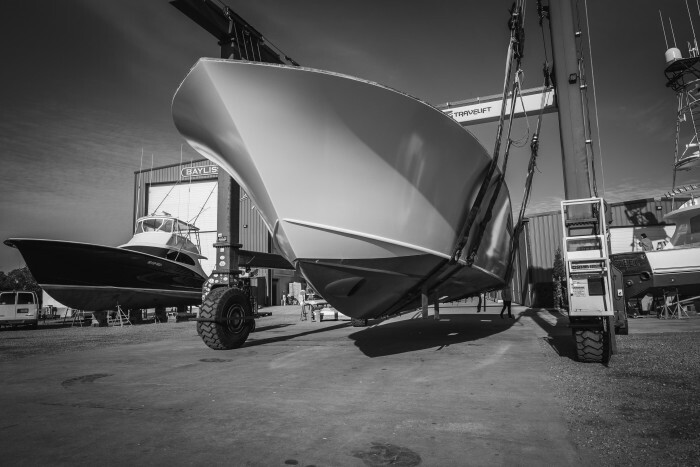 Bayliss Boatworks is building another 62’ GameBoat, Gypsea. Begun in October of 2018, this project is scheduled to be completed in the spring of 2020. 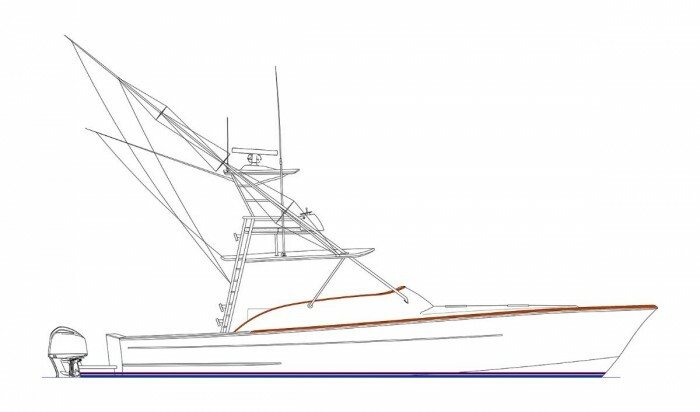 She is designed for extended travel and exploration of remote billfish hotspots. Gypsea is constructed with a custom layout consisting of three staterooms, two heads and a tackle room. The salon level will feature two sofas with easily accessible storage underneath, while the forward galley holds opposing bar tops located aft of the forward galley. Three Sub Zero drawer refrigerators, a four-burner Wolf induction cooktop with down-draft, and a Viking microwave round out the galley appliances. The lower accommodations are drawn to include a day head and shower located at the base of the companionway steps. A full tackle room with a heavy-duty freezer, rod storage and a stacked washer/dryer will sit across from the day head. Gypsea features a forward master stateroom, with two extra-large bunks on each side, an en-suite head, and storage lockers. Two additional staterooms with upper/lower bunks will be located just aft of the master. The cockpit is built to be clean and efficient, crafted around Benjamin Franklin’s quote, “a place for everything and everything in its place.” Custom Bayliss Boatworks stainless steel refrigerator boxes will be an integral part of the mezzanine layout. Gaff storage will be hidden, yet easily accessed. All of the essentials will be housed in the custom tackle lockers, located at port and starboard. Grain and color matched teak planking, as well as teak coverboards and coaming, will detail the fishing workspace. Gypsea will be delivered with a Palm Beach Towers hardtop, extra-large center console on the bridge, white forward cabin windshield and faux teak accents. Since all Bayliss builds are designed to travel, Gypsea’s mechanical and electrical systems are engineered to be bulletproof and faultless. The engine room and all machinery locations are incredibly accessible and designed for easy maintenance. Each vessel’s air conditioning is provided by a Dometic chilled water A/C system to reduce maintenance intervals and efficiently deliver cool air. 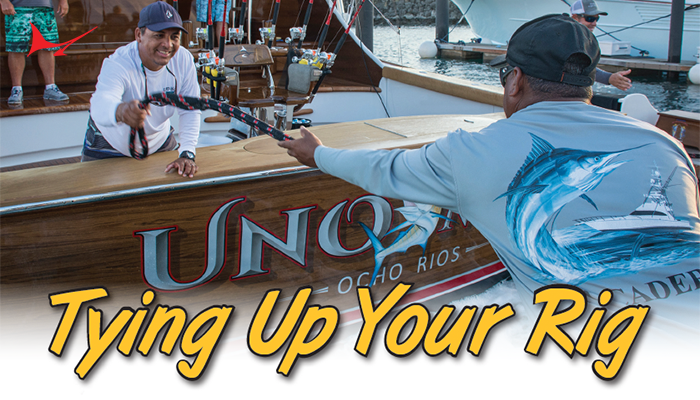 Bayliss Boatworks has been building custom sportfishing yachts in Wanchese since 2002. 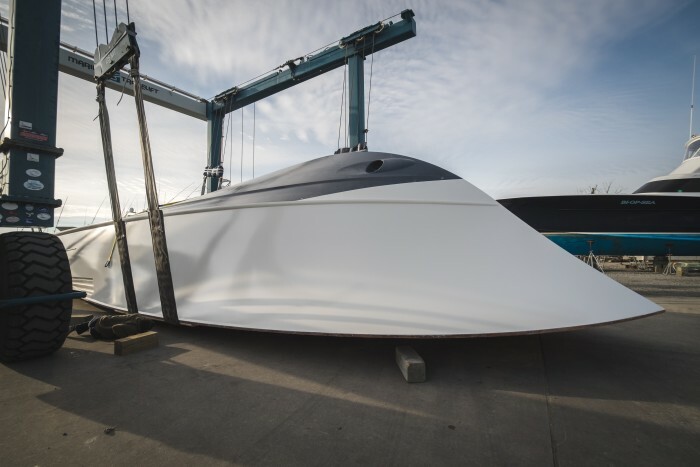 Four builds are in progress at the company’s facility in Wanchese, including a Bayliss 75’, a 78-footer named Blue View, and two 62’ GameBoats – Gypsea and Tarheel. For more information on Gypsea and all other builds, past and present, visit our website. Forget about New Year’s resolutions… InTheBite is straight to the point in 2019. 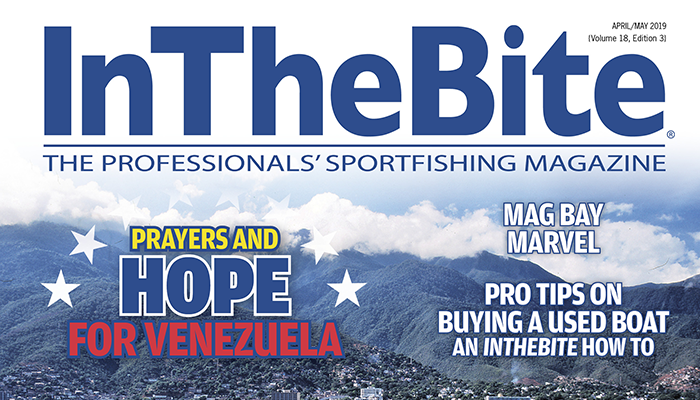 Grab a copy of the latest Jan/Feb Issue, hitting the docks now!